I love a good fried egg sandwich for breakfast. The bread must be good and buttery. The egg perfectly fried and salted with a generous dusting of freshly grated Parmesan cheese on top. Add some fresh jam to the bread and things go to another level. The other morning I had an avocado staring at me from the kitchen counter. It was perfectly ripe, and if I didn’t make something with it soon, would go bad. 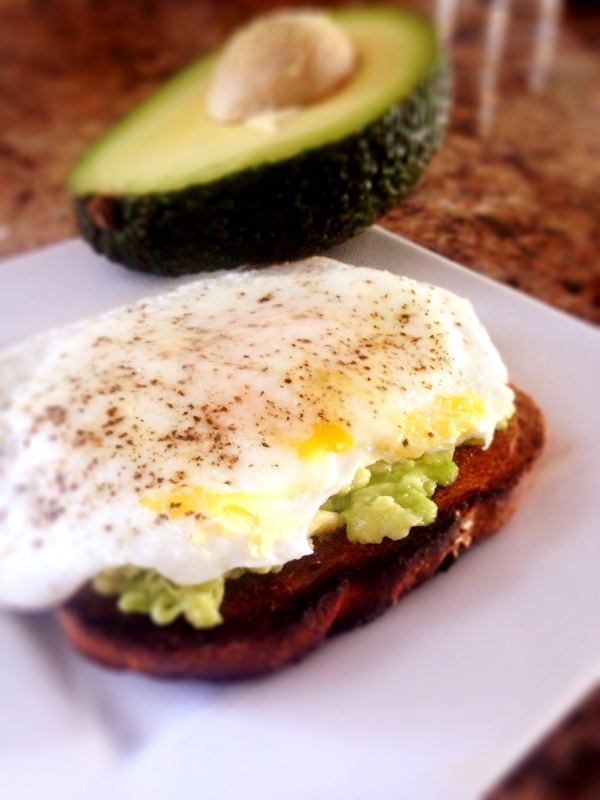 Hence, the avocado egg sandwich. So simple that this isn’t really a recipe. More a beautiful egg sandwich staring you in the face begging you to make it! 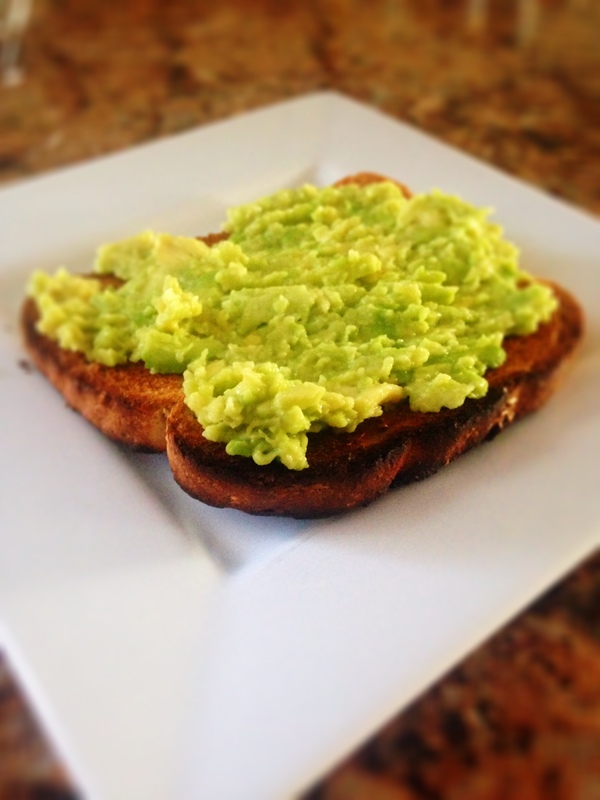 This sandwich is great for breakfast as it’s the perfect balance of carbs, protein and healthy fats. Cut an avocado in half, scoop out the insides and smash to your heart’s content in a bowl. Slice two pieces of good quality bread and pop in the toaster. While bread is toasting, spray pan with olive or coconut oil spray and turn burner to medium. Crack two eggs in the pan and lightly spear each yolk with a knife so that the yellowy yolk spreads out a bit. Salt and pepper and cook to your desired likeness. I like my fried eggs a tad bit runny. Top with a generous dollop of freshly grated Parmesan cheese and you are all set. Prev I’m Sick! What’s for Dinner!?! Looks delish! 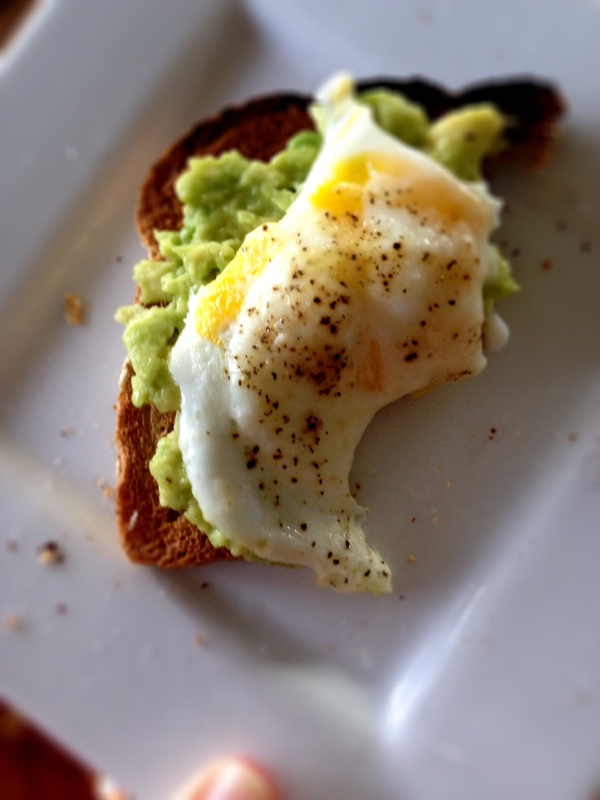 Have you ever baked an egg in an avocado? Pure heaven.